Download ppt "Ch. 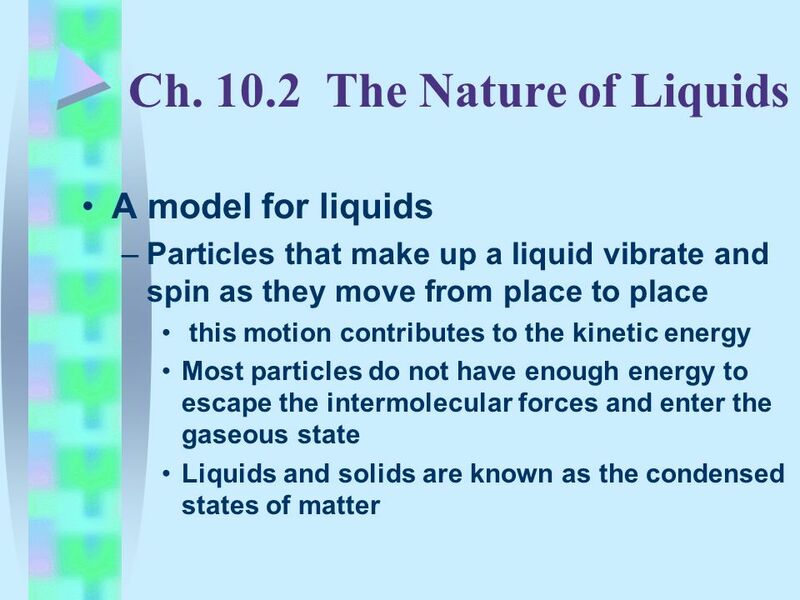 10 States of Matter Ch The Nature of Gases"
Chapter 9- The States of Matter u Gases indefinite volume and shape, low density. 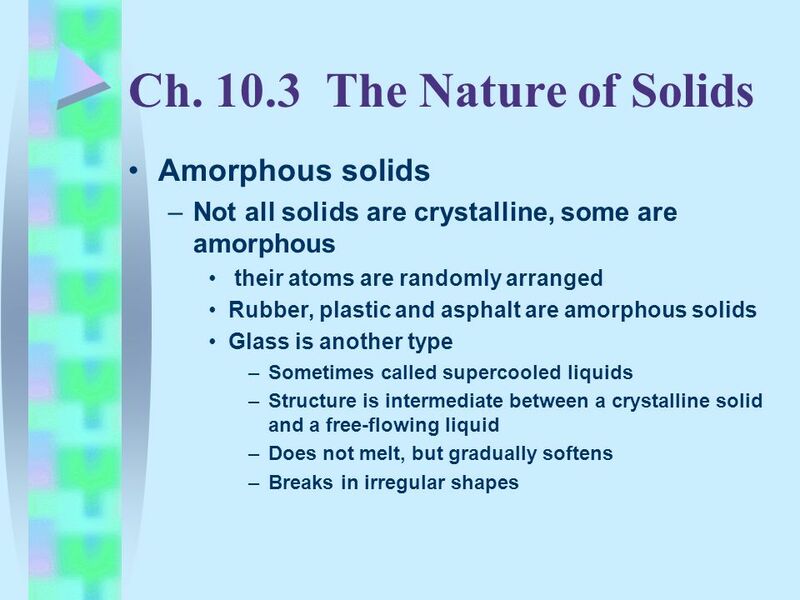 u Liquids definite volume, indefinite shape, and high density. u Solids. 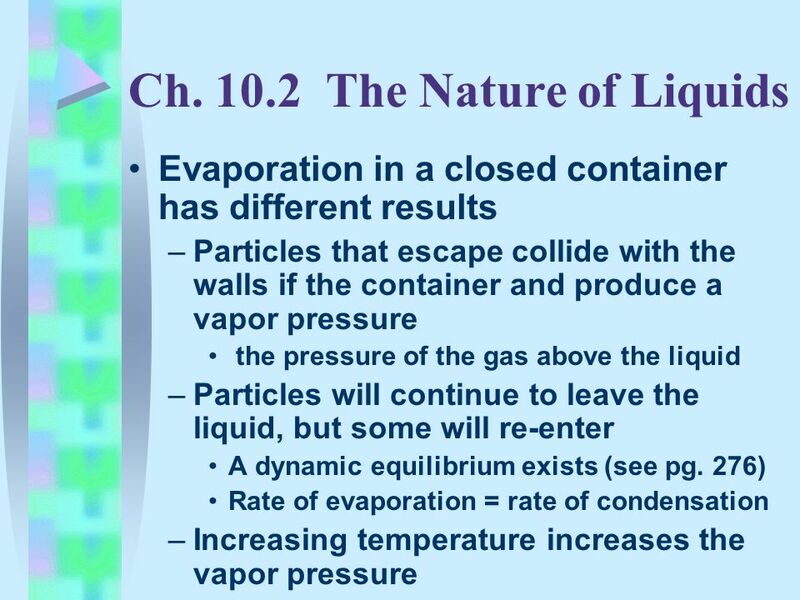 The Nature of Liquids. 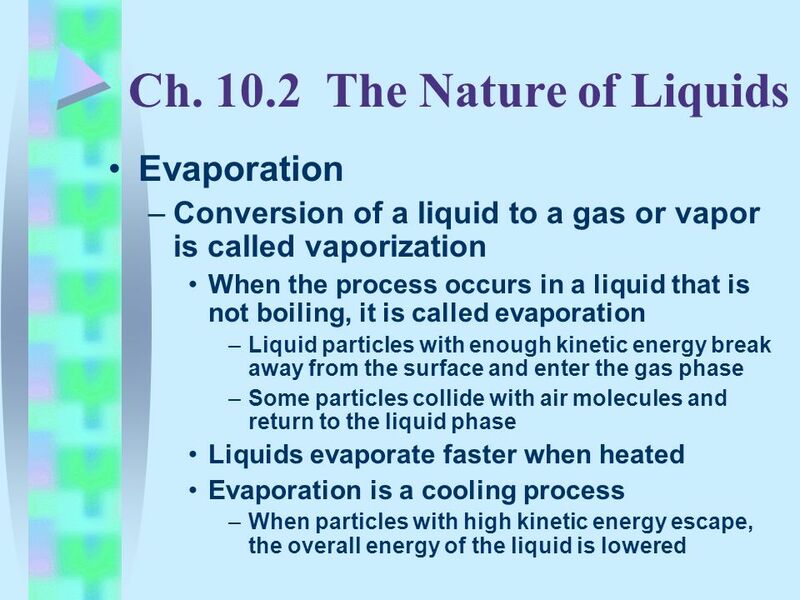 A Model for Liquids According to the kinetic theory, both the particles that make up gases and liquids have motion. While particles. 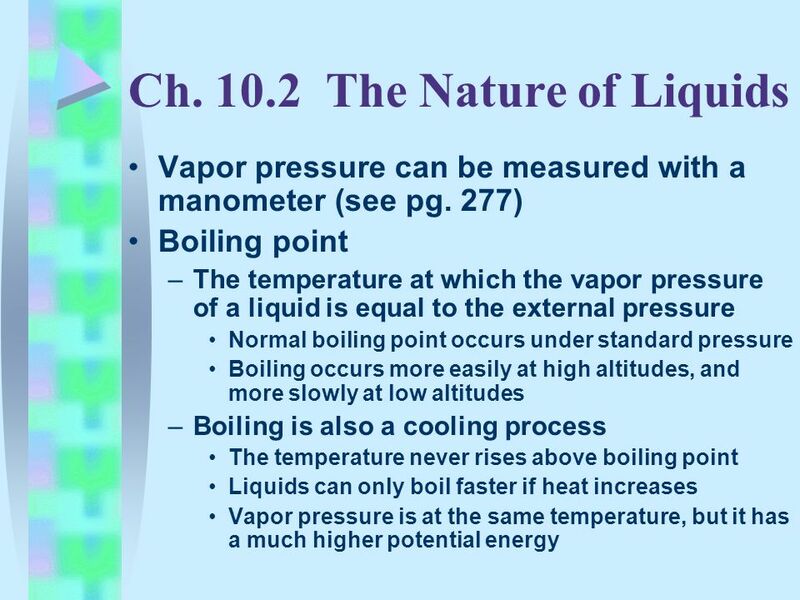 Kinetic Theory and Exothermic/Endothermic Reactions. Compare solids, liquids, and gases. Chapter 13 States of Matter Hingham High School Mr. Dan Clune. Liquids The particles that make up liquids are in constant motion too. Liquid particles are free to slide past one another. This allows liquids, as well. Kinetic Molecular Theory. 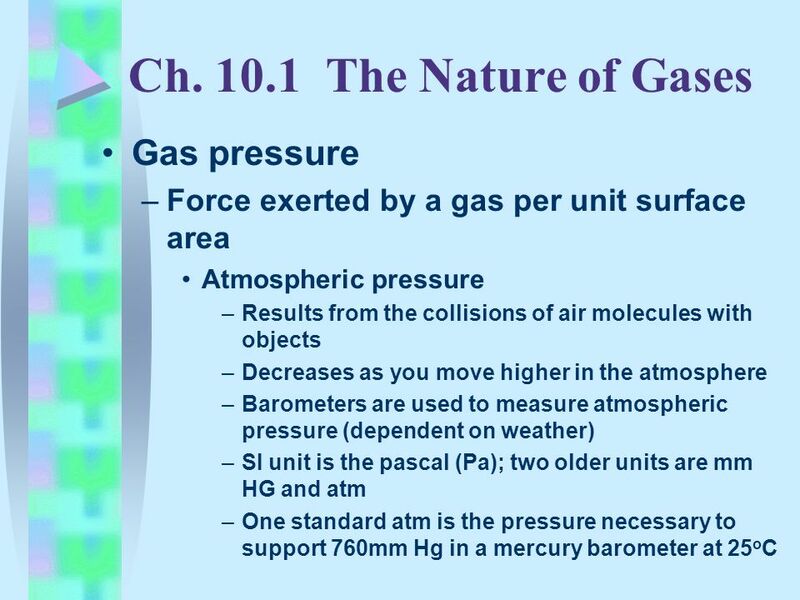 H-ch.13 CP-ch.10 & 12 u Gases indefinite volume and shape, low density. u Liquids definite volume, indefinite shape, and high. 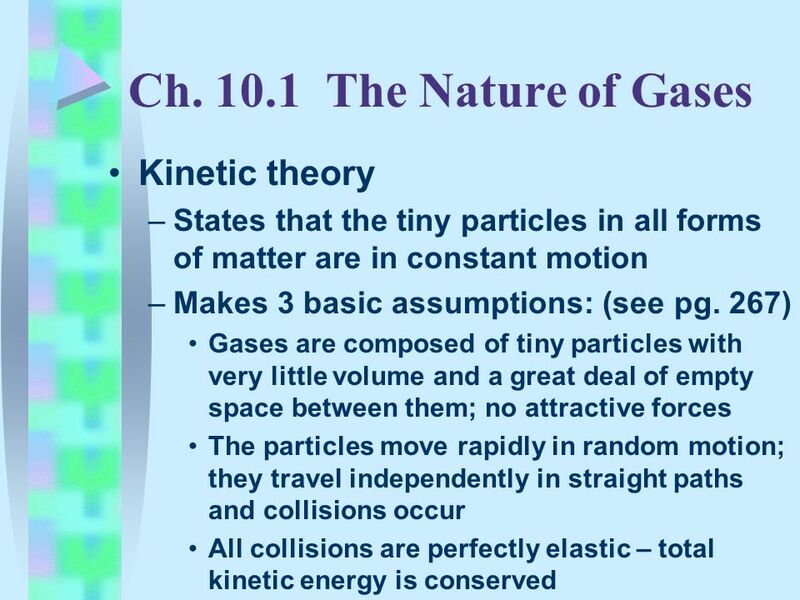 The Nature of Gases Kinetic refers to motion Kinetic refers to motion The energy an object has because of it’s motion is called kinetic energy The energy. 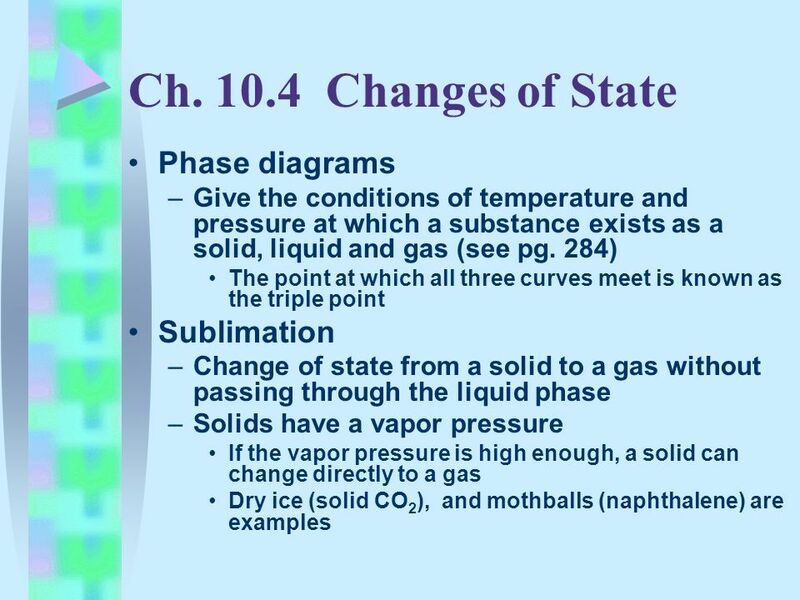 Kinetic Energy, Temperature, Phase Changes Chapter 13 Concepts. 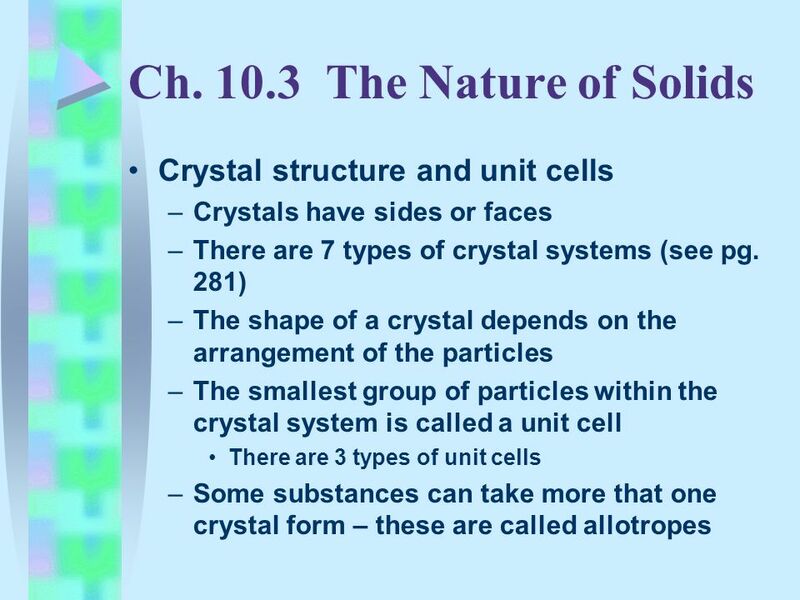 Chapter 13 States Of Matter. 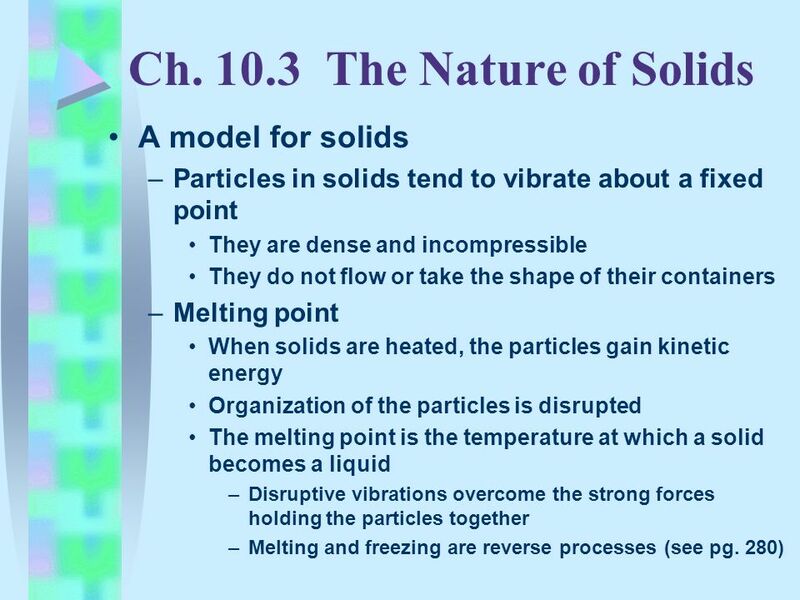 States of Matter Chapter 10. Kinetic Theory Kinetic refers to motion. Kinetic refers to motion. Kinetic energy is the energy of a moving object. Kinetic. Ch. 13 States of Matter Ch The Nature of Gases. States of Matter Ch. 10. 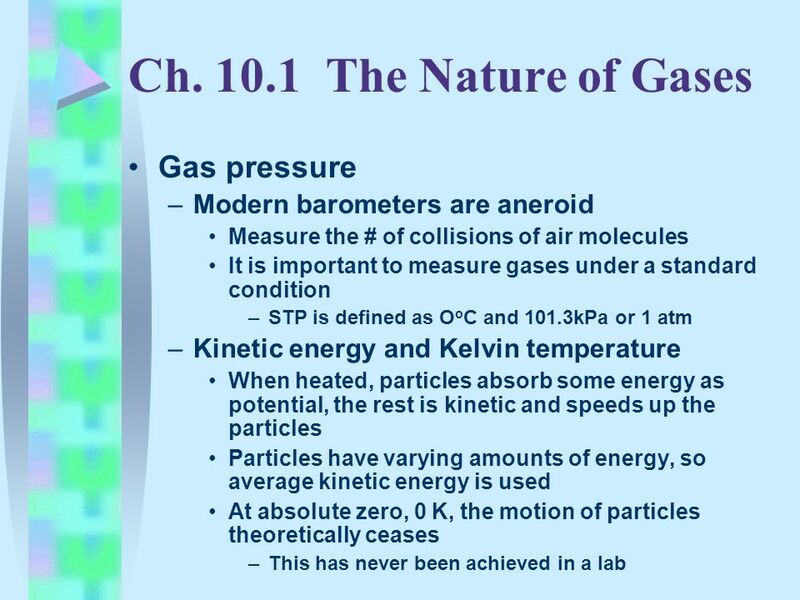 The Nature of Gases 10-1. 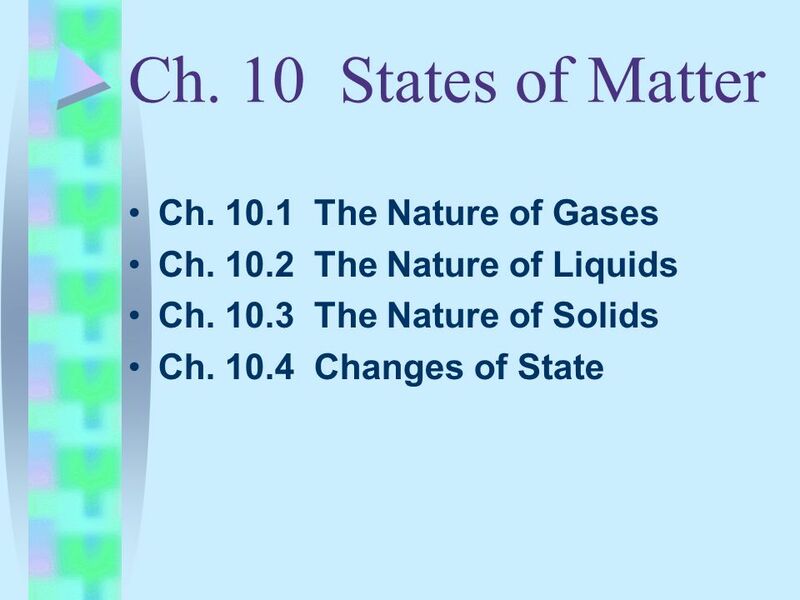 “States of Matter” adapted from Stephen L. Cotton.